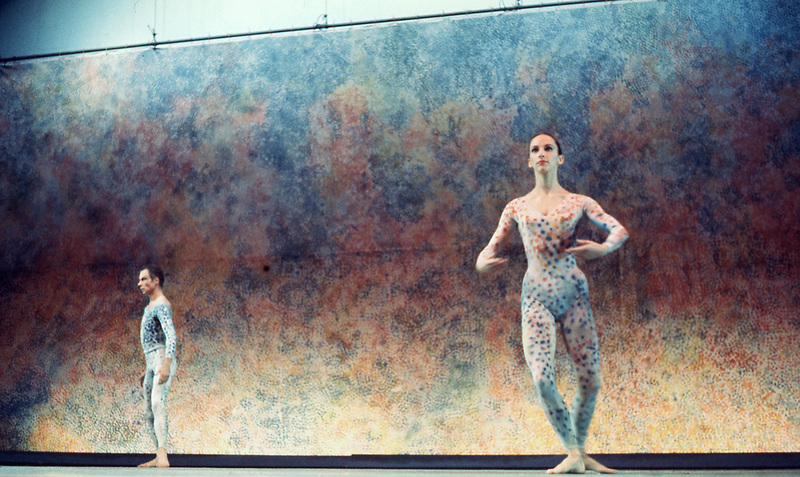 The Walker’s 2009 acquisition of the Merce Cunningham Dance Company Collection brought thousands of objects into the museum’s permanent collection, from costume pieces to stage sets, backdrops, and ephemera. Abigail Sebaly, former Cunningham Research Fellow at the Walker, takes Robert Rauschenberg’s belt designed for Carolyn Brown to wear during the dance Aeon (1961) as a point of diversion, seeking to answer the question: what we can learn about Cunningham’s collaborative dance practice from just one remnant? Looking at the object through multiple viewpoints, Sebaly proposes ways that we might use these pieces to recall, interpret, and preserve Cunningham’s work. Sebaly, Abigail. “Between Performance and the Present: Robert Rauschenberg’s Belt for Merce Cunningham’s Aeon.” In Art Expanded, 1958-1978, edited by Eric Crosby with Liz Glass. Vol. 2 of Living Collections Catalogue. Minneapolis: Walker Art Center, 2015. http://walkerart.org/collections/publications/art-expanded/between-performance-and-the-present. Robert Rauschenberg, costume piece for Aeon, 1961, belt with assorted attached objects, 81 x 9 in. (205.7 x 22.9 cm) overall. Merce Cunningham Dance Company Collection, Walker Art Center, Gift of Jay F. Ecklund, the Barnett and Annalee Newman Foundation, Agnes Gund, Russell Cowles and Josine Peters, the Hayes Fund of HRK Foundation, Dorothy Lichtenstein, MAHADH Fund of HRK Foundation, Goodale Family Foundation, Marion Stroud Swingle, David Teiger, Kathleen Fluegel, Barbara G. Pine, and the T. B. Walker Acquisition Fund, 2011, 2011.203.42. During my three-year process of cataloguing the Walker Art Center’s Merce Cunningham Dance Company (MCDC) Collection, I encountered a belt that Robert Rauschenberg had made for dancer Carolyn Brown, as part of her costume for Cunningham’s dance Aeon (1961). The piece is a dingy, frayed length of rope, tinged a faint peach in places where theatrical makeup had left a residue. 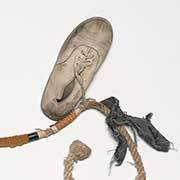 From Brown’s recollection, the item was always in shabby condition, “a Rauschenberg construct … thick, old, dirty.”2 Four primary objects dangle charmlike from the rope: a black rubber overshoe, a red felt hat, a tin can, and a grubby white canvas oxford. Spliced between these larger pieces, Rauschenberg inserted a variety of spacer materials, including wrapped strips of slick black and white gaffer tape (ubiquitous in any traveling dance company’s road box) and an assortment of vaguely feminine fabric remnants—a faded floral-patterned cotton, thick pieces of mustard yellow velvet, and strips of peach satin. When coiled around the circumference of Brown’s waist, the belt’s overlapping attachments protruded outward at abrupt angles, contrasting with the otherwise sleek form-fitting leotard and tights that Rauschenberg designed for the female cast members. 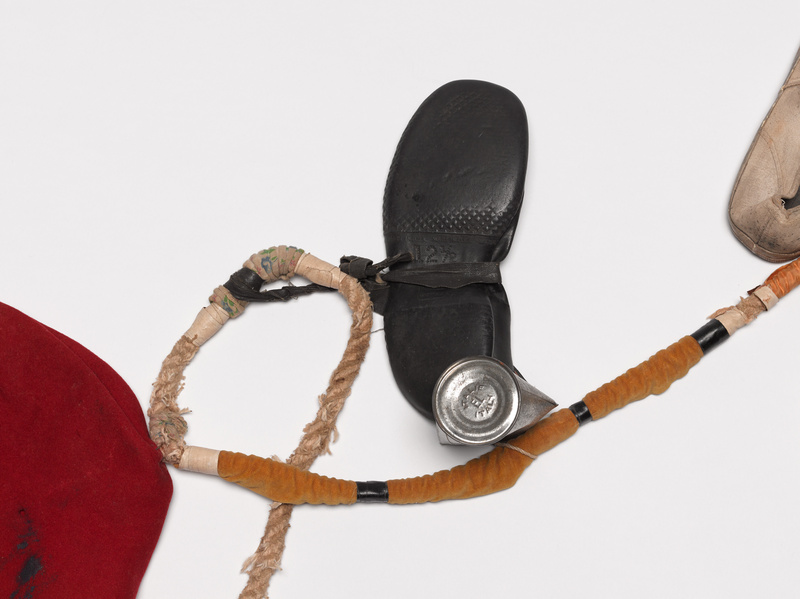 The Walker acquired Rauschenberg’s Aeon belt in 2011, along with the MCDC’s complete archive of sets and costumes, comprising some sixty years of material and more than 4,000 objects. The collection, which ranges from large-scale backdrops and set elements to smaller costume pieces as well as a variety of posters, design sketches, and a selection of photographs, came to the museum as a major acquisition for its collections.3 As such, each piece matriculated through the same intricate series of steps that any other artwork would undergo in the acquisition process. In order to generate an object condition report for the museum’s registration files, I had to scrutinize the belt fastidiously, documenting its measurements, material components, any markings or initials, commercial labels or brand insignias, signs of scratching, scuffs, pills, or other wear, tear, and degradation. Carolyn Brown, Steve Paxton, and Merce Cunningham in costumes designed by Robert Rauschenberg for Cunningham’s Aeon (1961). Photo: Richard Rutledge. Courtesy of the Merce Cunningham Trust. Visible at a distance onstage and at close range in the archive, this object that appeared to be designed solely for a theatrical context now reveals more intimately considered features. Robert Rauschenberg, costume piece for Aeon (detail), 1961, belt with assorted attached objects, 81 x 9 in. (205.7 x 22.9 cm) overall. Merce Cunningham Dance Company Collection, Walker Art Center, Gift of Jay F. Ecklund, the Barnett and Annalee Newman Foundation, Agnes Gund, Russell Cowles and Josine Peters, the Hayes Fund of HRK Foundation, Dorothy Lichtenstein, MAHADH Fund of HRK Foundation, Goodale Family Foundation, Marion Stroud Swingle, David Teiger, Kathleen Fluegel, Barbara G. Pine, and the T. B. Walker Acquisition Fund, 2011, 2011.203.42. 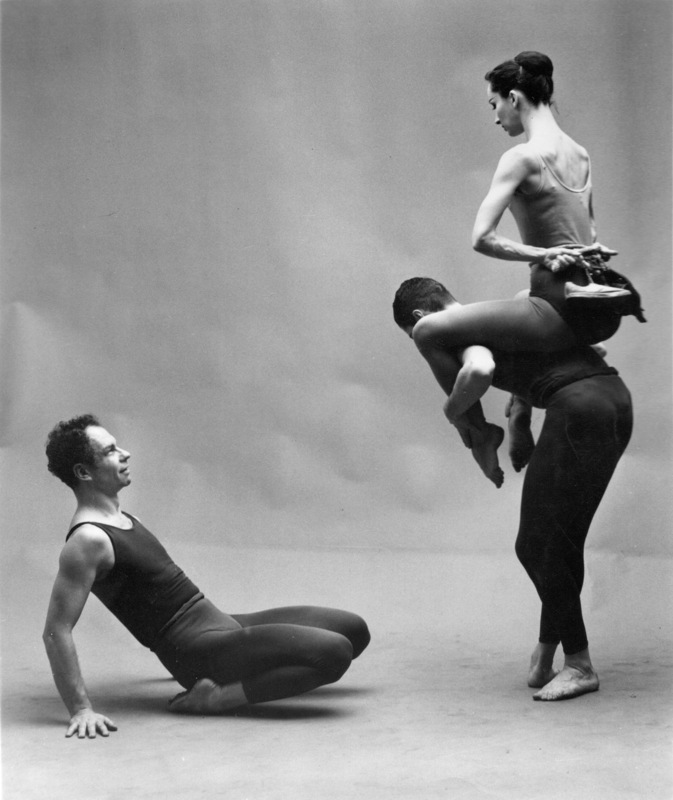 Steve Paxton, Carolyn Brown, and Merce Cunningham in a 1964 performance of Aeon (1961) in Tokyo. Courtesy Sogetsu Foundation. Photo: Yasuhiro Yoshioka. While this auditing process may seem utilitarian, the act of going through this checklist, down to the last microscopic detail, yielded not only a new level of appreciation for the belt’s use in performance but also the realization that it possesses multiple layers of legibility. Visible at a distance onstage and at close range in the archive, this object that appeared to be designed solely for a theatrical context now reveals more intimately considered features. For example, in spite of the belt’s motley assortment of second-hand materials, there is notably both a left and right shoe—a complementary pair of misfits. 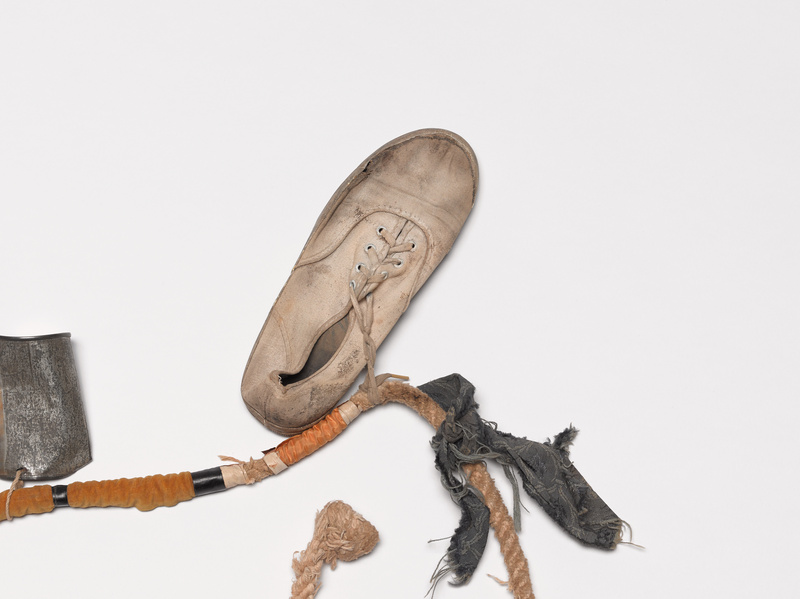 The tread on the ball and heel of the right overshoe (“US Royal, Size 12 ½, Made in the USA”) is heavily worn down, similar to the sole of the left canvas oxford, suggesting that both pieces had already been well used when Rauschenberg repurposed them. The belt’s small aluminum can, crimped at one end with “Italie, EL, Italy” stamped on the bottom, contains an unknown object that rattles around its interior, forever a mystery without prying the can open and permanently altering the object. The rattler is softly resonant when the can is jostled at close range, but its aural properties would have been totally drowned out during an actual performance of Aeon, amid the high volume of composer John Cage’s combined score, Atlas Eclipticalis and Winter Music. By taking a closer look at Cunningham’s dance Aeon and the belt costume piece that Rauschenberg designed for it, this essay offers a case study of how the presence of performance objects within the museum’s collection complements the live ephemeral experiences with which they were once imbued. Their preserved existence and close proximity allows for an expanded appreciation of their use in performance, and opens up the possibility for their involvement in new live encounters. In contrast to the limitations of photographic performance documentation, the collection of Cunningham’s sets and costumes offers a unique three-dimensional platform through which to more generatively and repeatedly engage with the dances.4 The act of studying these objects demands what dance historian Ann Cooper Albright calls a “strand of physical thinking” in which an awareness of one’s own physical body and movement is always present within the analysis of a historical subject.5 This does not mean that one has to be a professional dancer to fully understand these objects, but it does require a willingness to be corporeally engaged when dealing with them. The process of cataloguing the Cunningham Collection provided an easy gateway into this more kinesthetic way of relating to objects. Inventorying pieces and describing their condition and attributes offered a level of familiarity and focus that invariably led to more insights about the bodies and live events to which they were once connected. For instance, by studying and handling each of the disparate objects attached to Rauschenberg’s Aeon belt, I can physically relate to the discomfort and awkwardness that Carolyn Brown experienced while performing with the piece wrapped around her neck.6 At the same time, the process of working with this ungainly strand of objects foregrounds for me an element of comic absurdity in the work, a sense of levity in Aeon, which Cage described as “generally elevated but not excluding fantasy and humor.”7 As I hope to demonstrate, the physical features of this fifty-year-old belt—its weight and dimensions, its distinct patches of wear and tear—may still impart a visceral connection to the dance. Cunningham revolutionized the idea of collaborating with designers in a more separately autonomous but equal way. This meant that at the outset of a new dance, he might only provide collaborators such as Rauschenberg with the anticipated length of the piece and the number of dancers. Rather than synchronizing the elements of the choreography, costumes, décor, music, and lighting in advance, oftentimes the disparate design components were not united until the night of a show. The aim of this approach was to encourage new outcomes that circumvented the typical creative habits and proclivities of the contributors. In Rauschenberg’s case, Cunningham’s openness meant that he could apply what he was working on in his studio practice to what he was contributing to the company. Far from being mutually exclusive, the following examples examine ways that these different contexts fed each other. 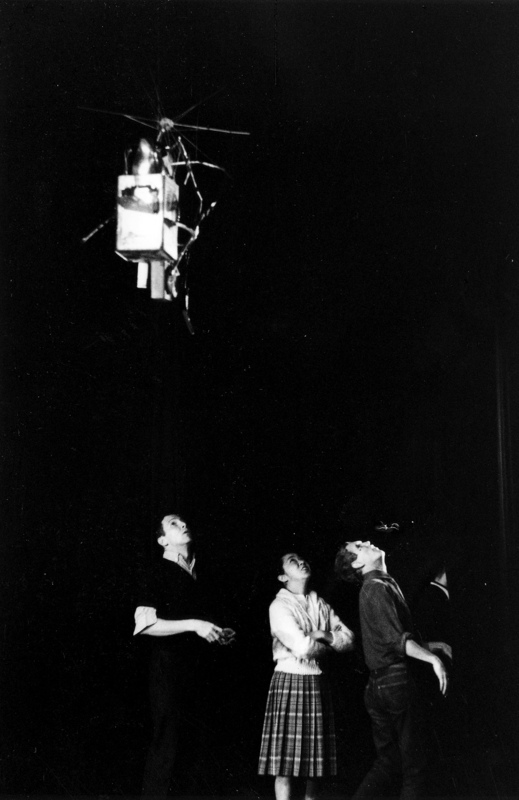 Although Cunningham’s collaborative approach created at times a thrilling unpredictability to performances in which the “potential error in transmission was as exciting as the transmission itself,” there was also a practical consistency and unapologetic thriftiness to the way in which performance objects (whether sets, costumes, or props) were employed and reused repeatedly in performances on tour.9 While large backdrops, props, and costumes did not become completely extinct among the generations of choreographers that followed Cunningham into the world of postmodern dance, his work can still be viewed as a singular entity in the transition between the use of traditional stagecraft and the increased questioning and disavowal of such conventions. Robert Rauschenberg, décor for Cunningham’s Minutiae, 1954, recreated in 1976, oil, paper, fabric, newsprint, wood, metal, and plastic with mirror and string on wood, 84 ½ x 81 x 30 ½ in. (214.6 x 205.7 x 77.5 cm). Installation view of the exhibition Dance Works I: Merce Cunningham/Robert Rauschenberg, Walker Art Center, 2011. Merce Cunningham Dance Company Collection, Walker Art Center, Gift of Jay F. Ecklund, the Barnett and Annalee Newman Foundation, Agnes Gund, Russell Cowles and Josine Peters, the Hayes Fund of HRK Foundation, Dorothy Lichtenstein, MAHADH Fund of HRK Foundation, Goodale Family Foundation, Marion Stroud Swingle, David Teiger, Kathleen Fluegel, Barbara G. Pine, and the T. B. Walker Acquisition Fund, 2011, 2011.192.1-.7. For my current purposes, the value of Stuckey’s discovery lies less in decoding the comic’s commentary on contemporary art, and more in the fascinating fact that Rauschenberg inserted this comic strip in a work designed for the stage, where such a small detail would never have registered with anyone but the dancers and himself. From his earliest costume and décor designs, Rauschenberg opened up the possibility that performance objects could be considered from multiple vantage points, from both the context of the stage and at a closer range. When Cunningham first started developing and teaching Aeon’s choreography to his dancers, Brown recounted that the dance frequently involved the full company (as well as solos duets, trios, and quartets) with “six girls and two boys dashing around like crazy, in phrases of 6, 8, 10, 12 [counts], all quite fast-footed.”17 The piece was divided into numerous sections whose order Cunningham continued to experiment with into the first performances of the dance. 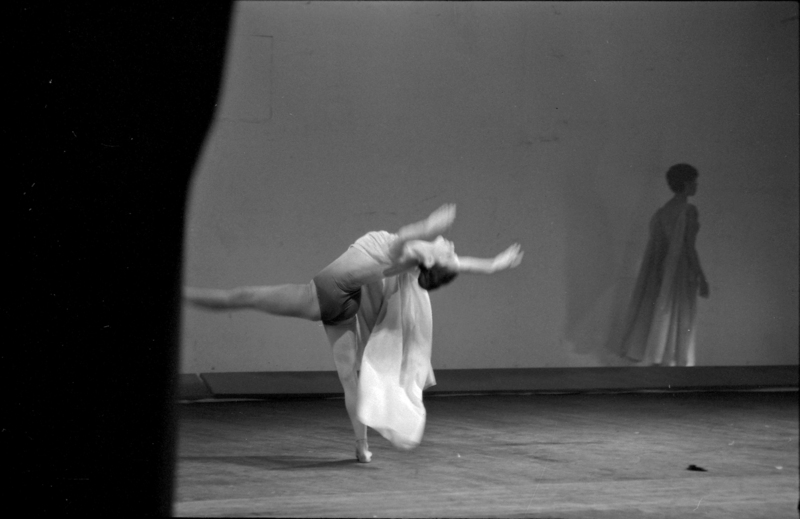 To ease the process of rehearsing isolated segments, the sections had been informally nicknamed by the dancers and Cunningham with monikers such as “Moonflower Trios,” “Horse Tango,” and “The Coney Island.” Brown recalled that in spite of the discomfort of dancing with Rauschenberg’s construction around her waist and neck, the movement in her own solo with the belt “covered a lot of space, felt airy, birdlike, balletic.”18 Because the two collaborators did not occupy the same physical space when they were working on their individual contributions for the dance, Rauschenberg would not have known in advance how Cunningham would eventually choreograph Brown’s use of the belt. Although it was not Cunningham’s normal custom to accommodate or adapt movement to the limitations of a costume or set piece, the belt demanded a choreographic response from him. Serving at times as both a prop (held out taut in Brown’s hands) and a wearable item (wrapped around her body), the belt fluctuated between belonging to the décor versus functioning as a costume piece. This ambiguity again supports Rauschenberg’s interest in blurring the distinctions between objects created for static display versus performance. Carolyn Brown wearing the belt that Robert Rauschenberg designed for Cunningham’s Aeon (1961). Photo: Shunk-Kender ©J. Paul Getty Trust. The Getty Research Institute, Los Angeles (2014.R.20). Gift of the Roy Lichtenstein Foundation in memory of Harry Shunk and Janos Kender. 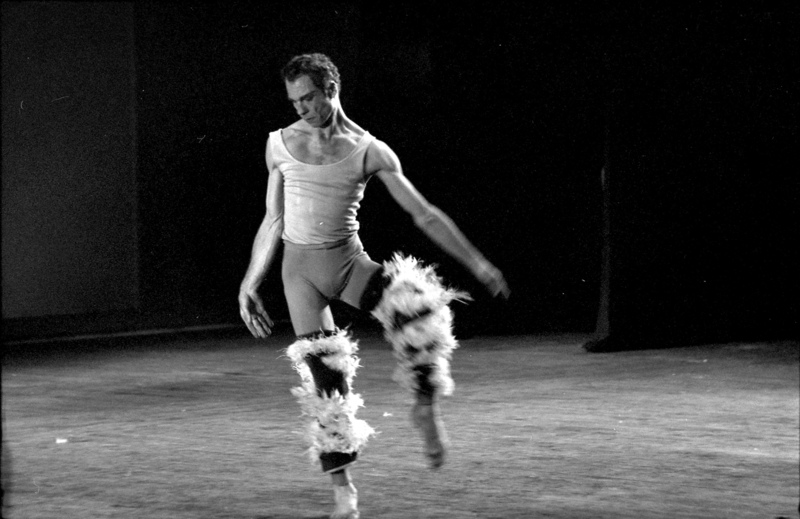 Merce Cunningham wearing feathered chaps designed by Robert Rauschenberg in a 1964 performance of Aeon (1961) in Tokyo. Courtesy Sogetsu Foundation. Photo: Yasuhiro Yoshioka. 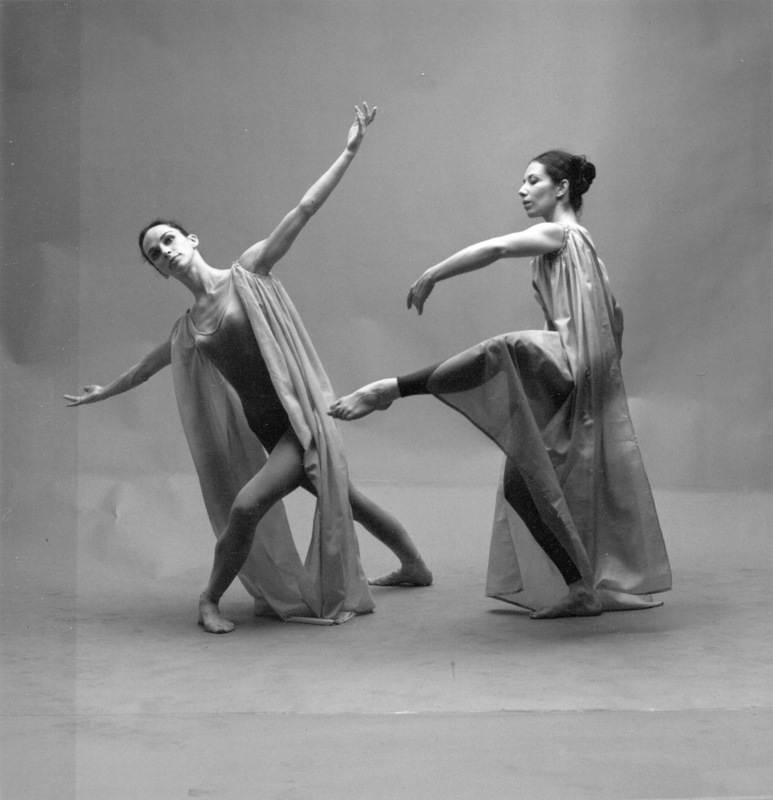 Carolyn Brown and Judith Dunn in costumes designed by Robert Rauschenberg for Cunningham’s Aeon (1961). Photo: Richard Rutledge. Courtesy of the Merce Cunningham Trust. Excerpt from an interview with Carolyn Brown by the author, filmed and edited by Daniel Squire, 2011. Walker Art Center Archives. Jennifer Goggans, member of the Merce Cunningham Dance Company from 2000–2011, models Robert Rauschenberg’s belt for Aeon (1961). Photo: Gene Pittman. 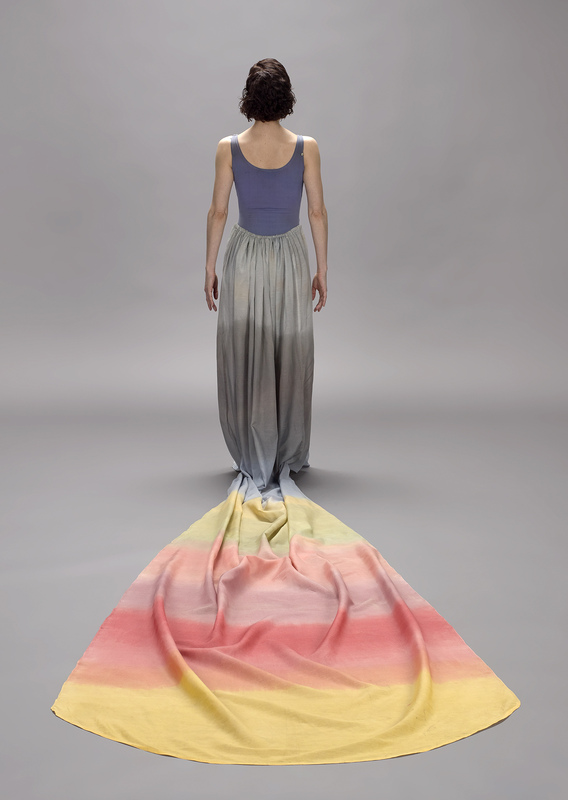 Jennifer Goggans, member of the Merce Cunningham Dance Company from 2000–2011, models Robert Rauschenberg’s skirt for Aeon (1961). Photo: Gene Pittman. 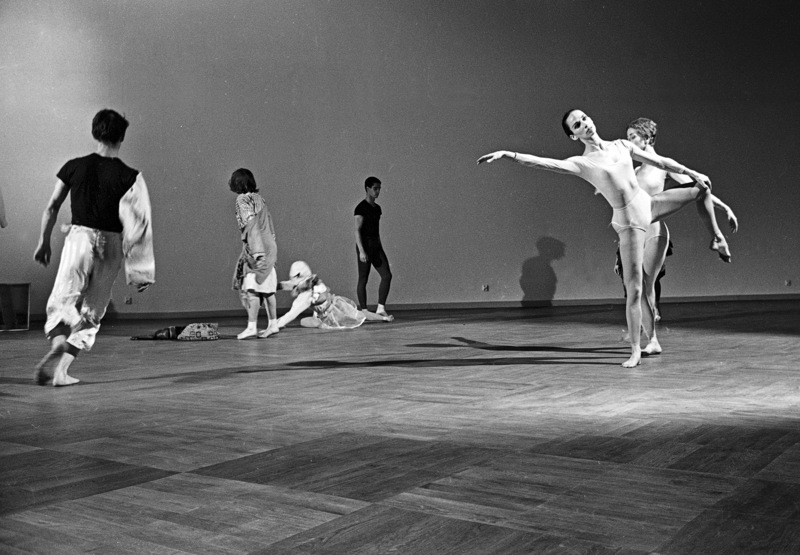 Albert Reid, Barbara Lloyd (Diley), Sandra Neels, Steve Paxton, Carolyn Brown, and Viola Farber in Merce Cunningham’s Story (1963), Moderna Museet, Stockholm, September 1964. 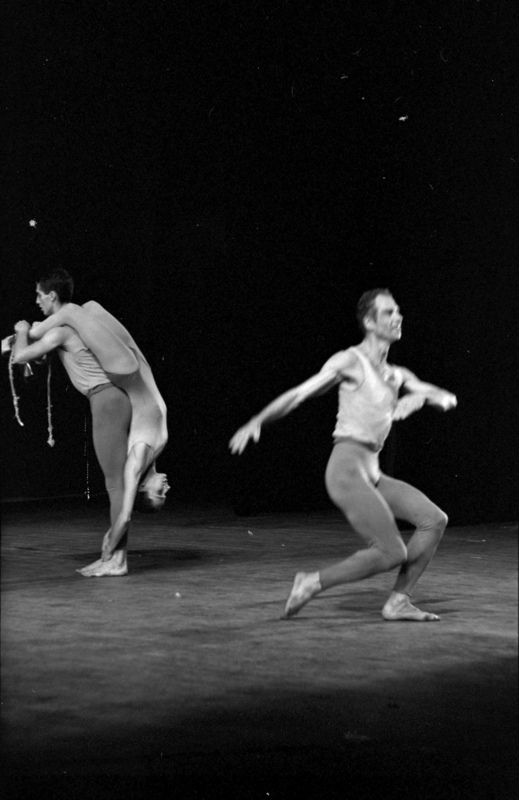 Merce Cunningham and Carolyn Brown in a 1964 performance of Summerspace (1958) in Tokyo. Courtesy Sogetsu Foundation. Aeon’s longer duration and numerous individual sections may have contributed to Rauschenberg’s decision to create the many assorted costume elements for the dancers to wear throughout the piece. A basic foundational leotard (tank top for the men) and tights, dyed in hues of blue, gray, and purple satisfied “Merce’s insistence that the body be visible,” but to this he gave the women elongated detachable sleeves and the men feather-covered cowboy-style chaps.19 Brown also briefly wore a long skirt with a rainbow ombre-dyed train and, in a separate section, the belt. Because the dance had no overt narrative or story line, these costumes did not signal shifts in plot. Rather, the variety of garments reflects Rauschenberg’s use of the stage as a place of play and variation. For a later dance, Story (1963), for example, he evolved this idea of multiple costume changes by providing a grab bag of thrift store clothes that the dancers could take on and off at their own preference throughout the dance. In spite of the fact that some of the Aeon costume pieces may have only been worn very briefly onstage, a close examination of their construction reveals that Rauschenberg did not cut corners. With exacting detail—the artist was known to have even dyed costumes on a kitchen stove when the company was on tour—Rauschenberg’s sensitive construction of the Aeon costumes is wholly apparent at close range.20 In the instance of the belt, his use of a diverse range of fabrics to wrap the rope, even though these variations would have never been visible from an audience member’s distance, suggest his accounting for the object’s multiple layers of legibility, from both the stage perspective as well as close-up. The piece began on a pyrotechnic note with a “blinding flash” of three magnesium explosions detonated at the stage’s footlights as the curtain rose, bathing everything in a heady smoke.22 At a later point, the dancers activated “wrist mounted flashbulbs with ignition devices that had been commissioned by Billy Kluver”23 and “unwound and passed among themselves a length of fire hose.”24 Original cast member Steve Paxton also recalled that Rauschenberg “hung a full scrim at the back of the stage, behind which dancers could be seen crossing from one side to the other. … The space in front of the scrim was defined by the choreography alone.”25 A final component of the décor consisted of a hand-crafted “machine” that “moved slowly across the stage, suspended while the dancers lay prone in blackness.”26 Rauschenberg’s abstract assemblage consisted of found scrap materials and an attached pitcher of dry ice that atomized smoke over the whole stage space. With all of this constant activity, including the costume changes, it is hard to imagine how legible Cunningham’s choreography was in such a densely stimulating environment. When the disparate elements finally came together in performance, they produced, in Cunningham’s words, “a kind of anarchy where people may work freely together.”27 The Aeon belt is a microcosm of this kind of anarchy, blurring the distinction between costume piece and prop, and in the process, presenting a new choreographic challenge to Cunningham. In spite of the multiple explosions on stage, critics and dancers alike reported that the most assaulting component of Aeon was the accompanying sound. Cage paired his composition Atlas Eclipticalis with an electronic version of Winter Music, “made possible by the use of contact microphones and associated amplifiers and loudspeakers.”28 In addition to the foreignness of the electronic sounds, Brown remembers that in the series of performances at the American Dance Festival, “[the electronics] were operated by Richard Maxfield who badly misgauged the acoustics … and set levels intolerably high. The distortions created by the contact microphones were nearly unbearable.”29 Jill Johnston’s review of the program also honed in on the difficulty of the score, describing it as “a percussive nightmare with such ear-splitting accents as a nail file rasped across a metal music stand.”30 Because of the music’s volume, the mysterious rattling object within the belt’s tin can would inevitably go undetected to all but those who examined it at close range. Just as Rauschenberg’s Minutiae set had its deliberately considered comic collages, so too does the belt have a sonic legibility that is only detectable from close range. Robert Rauschenberg, lighting notes for Aeon, 1961. Robert Rauschenberg Archives, Robert Rauschenberg Foundation. Robert Rauschenberg, Fujiko Nakaya, and Alex Hay with Rauschenberg’s set piece for Cunningham’s Aeon (1961) in Tokyo, November 1964. Courtesy Sogetsu Foundation. Photo: Yasuhiro Yoshioka. 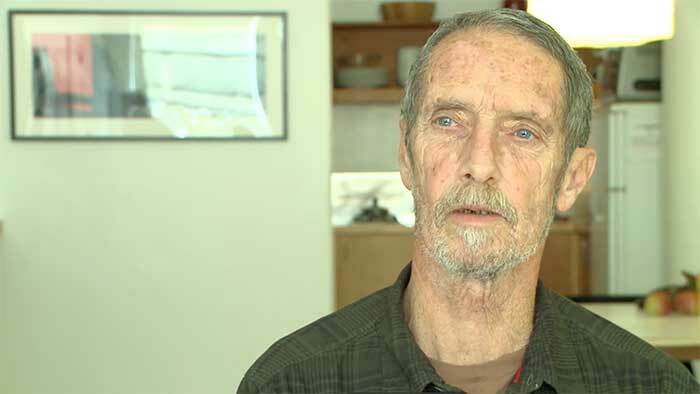 Excerpt from an interview with Steve Paxton by the author, filmed and edited by Michael Everett, 2013. Walker Art Center Archives. The Aeon belt itself functions as both prop and costume piece. From a distance, it appeared to be an incongruous creation—its attached tin can glinting in the stage lights and its irregular shapes hanging off as strange appendages when wrapped around the dancer’s waist. From a closer vantage point, the belt’s full suite of objects suggests a kit for a journey, reminiscent of a mountaineer’s harness festooned with the basic essentials (footwear, a hat to shade from the weather, a can of food). 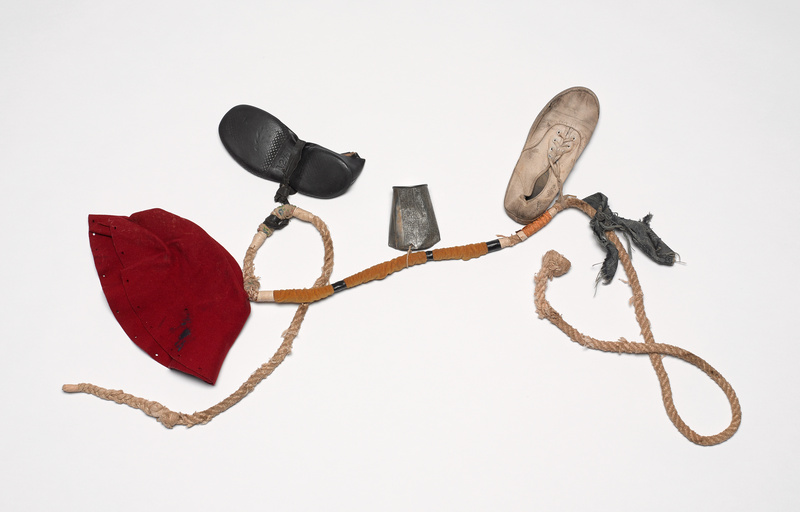 The same year that Rauschenberg made Brown’s Aeon belt, he also created Trophy IV (for John Cage), a work that emerged from his studio practice and that also prominently features similar survival essentials, including a leather boot and a flashlight. Trophy II (for Teeny and Marcel Duchamp) (1960), another Combine from the Trophy series and also part of the Walker’s collection, contains such similar basics as a drinking glass, a spoon, and a necktie. Of the Trophy series, Rauschenberg recalled, “They’re like debts, when you want to thank somebody back who has given you so much … there’s a new trophy.”31 Brown was the only dancer to receive such an assemblage to wear for the dance, and perhaps Rauschenberg designed it with a similar honorific intention in mind. 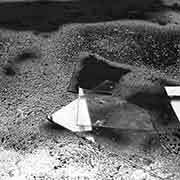 As a case study in the Walker’s collection, Aeon poses problems for analysis because there is no extant film footage of the dance, other than some grainy video sequences of a studio rehearsal and one excerpt of the belt worn by Sandra Neels in an Event performance at Philip Johnson’s Glass House in 1967.32 The fully integrated version of Aeon with décor, costumes, and music was only performed for three years, from 1961 until 1964, after which segments were only revived as part of Event material.33 Although the dance was photographed in both studio and live performance contexts, its forty-five-minute length (long for a Cunningham work, outside of Event performances) and numerous individual sections meant that many key moments were inevitably missed. Also, the photographs are all black and white, conveying no real information on the subtlety of Rauschenberg’s dye palette for the leotards and tights. Because my first introduction to Aeon was through the dance’s performance objects themselves, this encounter felt like the closest thing to an unmediated experience that I would ever have with the piece, short of seeing a live performance of it. The belt and the other costume elements are not merely proxy records of the dance, edited through the camera’s lens, but rather actual surviving participants from the performances. In her essay on Trisha Brown’s 1998 production of the opera Orfeo, Peggy Phelan talks about the ease with which memories of live events become collapsed with the documentation of these events, making it easy for the mind to confuse and meld the two.34 Through their existence, performance objects such as the belt circumvent this kind of confusion because they are actual participants from the dance, rather than mere representations of the experience. Robert Rauschenberg, Trophy II (for Teeny and Marcel Duchamp), 1960, oil, charcoal, paper, fabric, metal on canvas, drinking glass, metal chain, spoon, necktie, 90 x 118 x 5 in. (228.6 x 230 x 12.7 cm) overall installed. Collection Walker Art Center, Gift of the T. B. Walker Foundation, 1970, 1970.1.1-.4. Artwork ©Robert Rauschenberg Foundation. Carolyn Brown in a 1964 performance of Aeon (1961) in Tokyo. Courtesy Sogetsu Foundation. Photo: Yasuhiro Yoshioka. 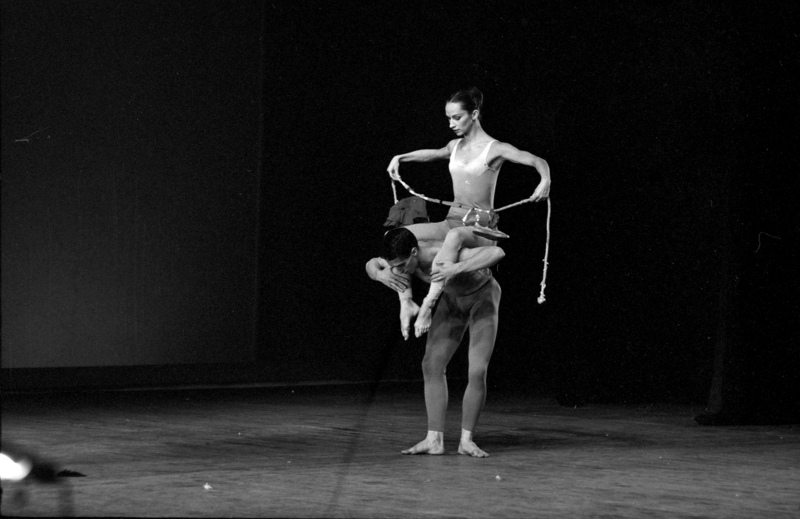 Steve Paxton and Carolyn Brown in a 1964 performance of Aeon (1961) in Tokyo. Courtesy Sogetsu Foundation. Photo: Yasuhiro Yoshioka. 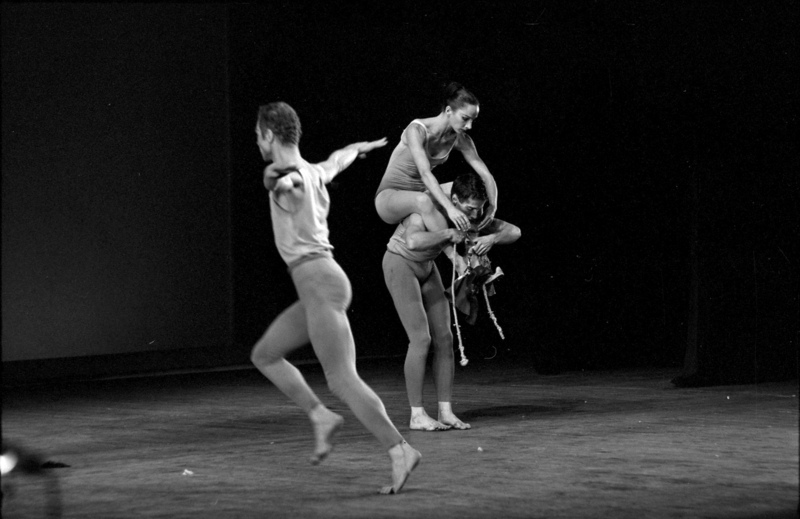 Merce Cunningham, Carolyn Brown, and Steve Paxton in a 1964 performance of Aeon (1961) in Tokyo. Courtesy Sogetsu Foundation. Photo: Yasuhiro Yoshioka. Created during this rich period of experimentation, the Aeon belt was designed with its own capacity for motility, instigated by the dancer’s movement. 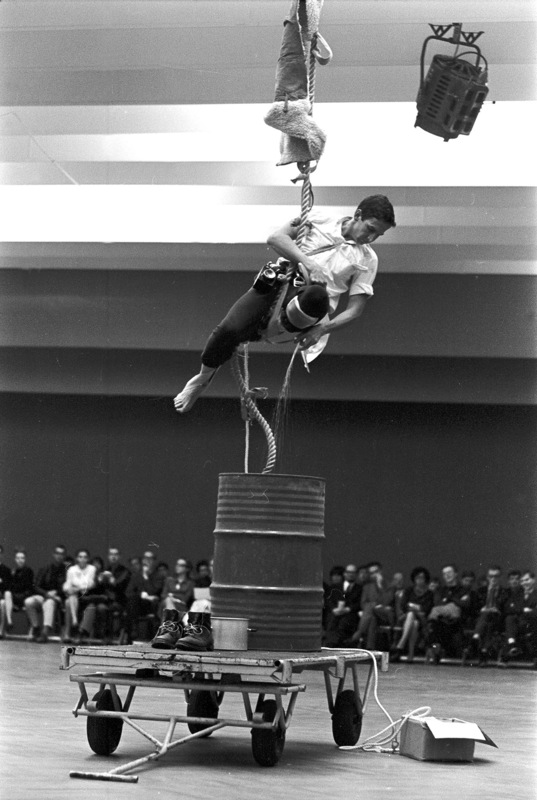 It also presages other rope constructions that Rauschenberg would go on to create for both his own performances and future Cunningham pieces. The belt resembles a miniature prototype of the rope that he shimmied down in his own performance work Elgin Tie, which he presented at Stockholm’s Moderna Museet in 1964 as part of the Five New York Evenings series (while also on tour with MCDC). In this piece, the rope was attached to the ceiling of the museum, and Rauschenberg wended his way around various object impediments on the strand in order to find his way to level ground (in the form of an old farmer’s cart that was eventually wheeled out of the space). More than a decade later, for Cunningham’s 1977 dance Travelogue, Rauschenberg also constructed a large rope strand adorned with paint cans and fabric ties that two dancers unfurled at one point in the piece. The attached cans flashed intermittently amid the stage lights, bouncing on the flexible rope as if it were a laundry line. In all of these instances, Rauschenberg’s rope objects have the capacity to temporarily divide up or reinscribe the stage space, serving as an additional improvisatory tool. The rope constructions also reinforce the physical connections between the performance objects and the dancers. In the example of the Aeon belt, the rope at times physically links up to three dancers. In the later Travelogue rope construction, the piece requires two dancers to hold and activate the object. Rauschenberg’s initial idea for creating objects that could circumscribe or physically connect people may have evolved, at least partially, out of the concept for Cunningham’s 1960 dance Crises. In this piece (for which Rauschenberg designed the costumes), Cunningham experimented with the idea of the dancers “contact[ing] one another … through being attached by outside means.”37 In this case, the outside means was a series of three rubber bands, dispersed between the dancers, and used to periodically link up their bodies in different configurations throughout the dance. The elastics themselves were dyed, but unadorned with any additional accessories, largely camouflaged beyond their basic function as connectors. Produced the following year, Rauschenberg’s Aeon belt further developed this idea in a way that expanded both the prominence of the object and its use as a connecting device. 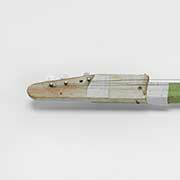 Robert Rauschenberg, Elgin Tie, 1964, performed at the Moderna Museet, Stockholm, September 1964. 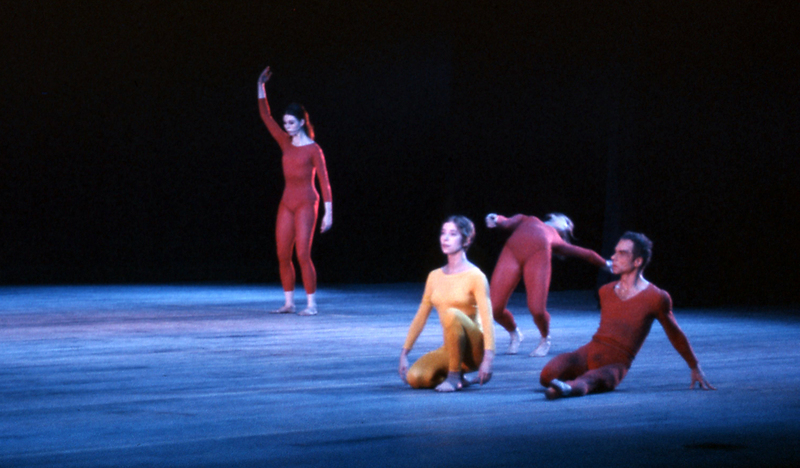 Sandra Neels, Viola Farber, Barbara Dilley [Lloyd], and Merce Cunningham in a 1964 performance of Crises (1960) in Tokyo. Courtesy Sogetsu Foundation. 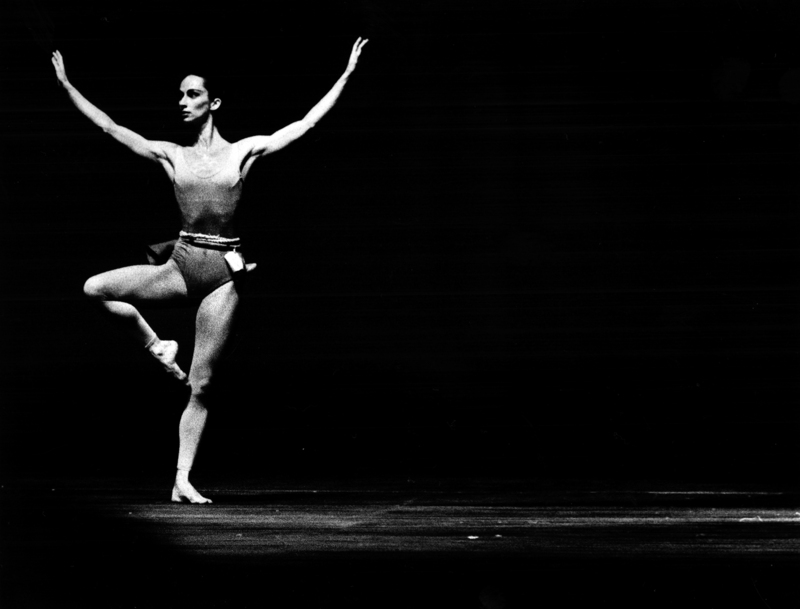 In a paragraph attached to his choreographic notes for Aeon, Cunningham articulates the way in which he and his collaborators reconciled the many variables and unpredictabilities of performing the dance: “I realize that one of our basic ideas was flexibility, that is, to take the circumstance for what it was, and present what we did in that, not as something which only represented or hinted at or was part of a whole, but what we gave in that place and time was the whole.”38 Regardless of whether the technical aspects of the dance’s design elements and music went according to plan, a performance of Aeon was still considered a performance when the collaborators and dancers assembled for the task. Just as Cunningham conveyed that there was no single ideal realization of this dance, so too should we avoid seeking out a single “correct” assessment of the objects that remain from it. 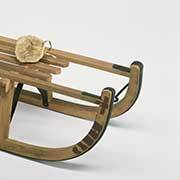 When I first set out to catalogue Rauschenberg’s Aeon belt, I initially found the object underwhelming. At first glance it seemed grubby and unremarkable. But after more carefully studying the intricate details (the flowered strips of fabric wrapped around the rope, the crimped can with its mystery rattler), the object seemed endlessly alive with new insights that I could never have gleaned from photographic or film documentation. 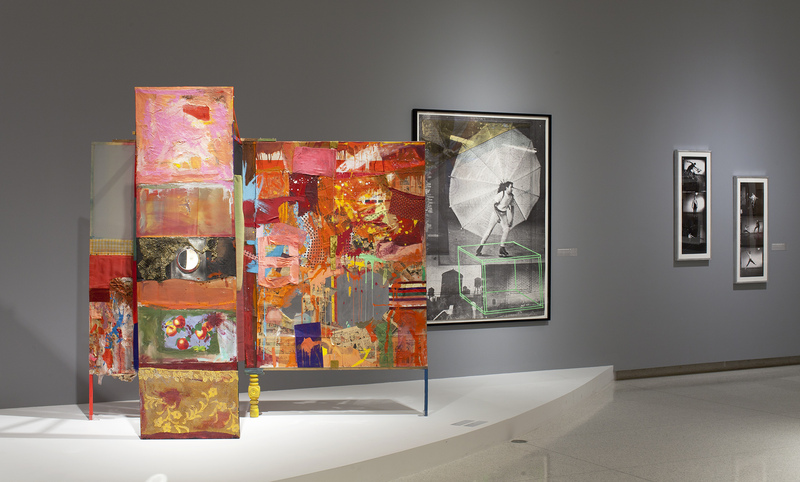 The realization that Rauschenberg was designing these works to be legible in multiple contexts, from both the stage and close range perspectives, speaks to his uniquely generative collaborative relationship with Cunningham, and forecasts rich possibilities for the objects’ new life at the museum. After spending an intensive amount of time with both the Aeon belt and the Cunningham Collection at large, I see multiple reasons why Rauschenberg created these performance objects with a dual legibility. In his earliest career as an artist, he made works that were meant to be viewed from the close proximity of his studio or a gallery space. It would have been an understandable progression for him to also apply this approach to his theatrical designs, even though his concentrated decade with the Cunningham Company would open up new possibilities for working on the stage and with movement. Just as he wanted to leave the objects in his Combines intact, “never altering their appearance to the point where they function merely as formal shapes in the composition, and never allowing them to serve merely symbolic ends,” so too did he create performance objects that did not contain the trappings of theatrical artifice.39 For example, the shoes attached to the belt are not shoelike objects but genuine articles, with the markings and worn tread to prove it. His resulting designs may have ultimately resonated with a theatrical kind of virtuosity (the magnesium explosions, objects that shimmered in the stage lights) but there is a sincerity to Rauschenberg’s creations that is in direct contrast to a style of stagecraft sleight of hand. 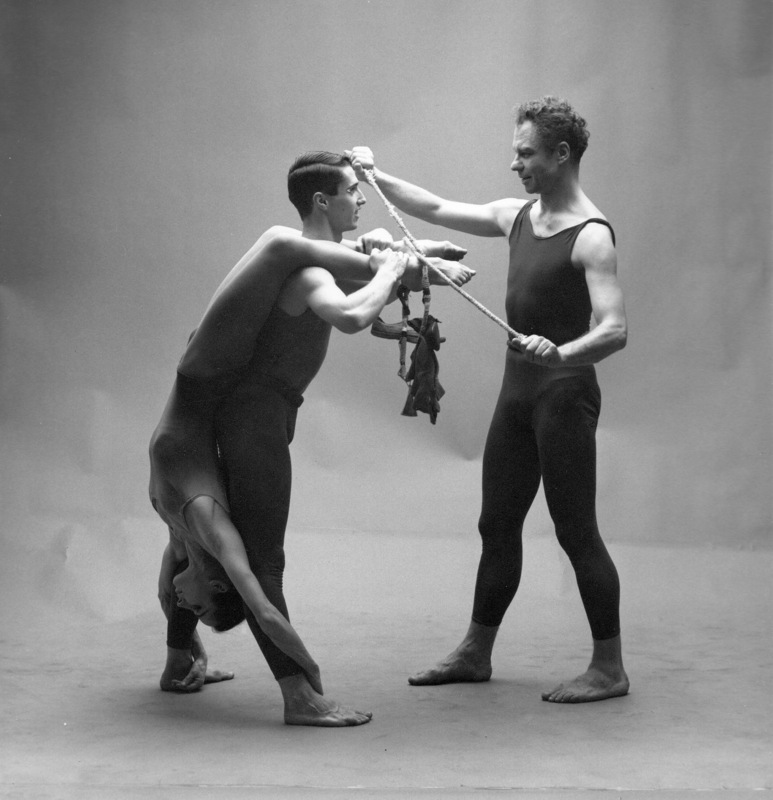 This was directly in line with Cunningham’s approach to movement, honing a technique and choreographic style that did not require the body to perform tricks or superfluous affectations. At a more familial level, Rauschenberg loved working with the dancers, and they similarly adored him. By attending to the finer details of the costumes and sets, he was potentially engaging in an intimate conversation with them, or at least generously attending to the perspective from which they would see the objects that they wore and with which they interacted. The Aeon belt, in its construction and use, exemplifies the kind of hybridity of form that was unique to Rauschenberg’s collaborative relationship with the Merce Cunningham Dance Company. Abigail Sebaly was the Merce Cunningham Research Fellow at the Walker Art Center from 2011 through 2014, where she researched and cataloged the museum’s comprehensive Merce Cunningham Dance Company Collection. In addition to processing nearly 4,000 set and costume pieces, she conducted extensive archival research on the collection, including conducting more than fifty oral history interviews in Europe, Japan, and the United States. Prior to that, from 2003 through 2008, she worked in various capacities for the Cunningham Dance Foundation in New York, including serving as director of special projects. 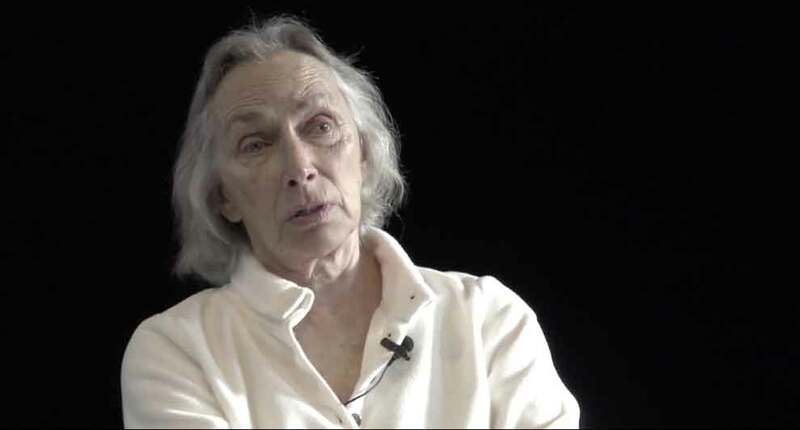 She is currently undertaking a major independent research project on the Merce Cunningham Dance Company’s 1964 world tour, initially supported in part by the the Merce Cunningham Trust, the Getty Research Institute, the John Cage Research Grant from the Northwestern University Library, and the Mabel Dodge Luhan House’s writers residency in Taos, New Mexico. Sebaly holds an MA in the humanities from the University of Chicago, with a thesis on the study of performance curation, as well as a graduate certificate in performance from the Institute for Curatorial Practice at Wesleyan, a BFA in dance, and a BA in English literature. From 2008 through 2009, she was a Fulbright postgraduate scholar in Melbourne, Australia. Her own choreography has been performed in Melbourne and at the Central Academy of Fine Arts in Beijing, China. Don Shewey, “‘We Collaborated by Postcards’: An Interview with Robert Rauschenberg,” Theatre Crafts 18, no. 4 (April 1984): 36–38, 72–75. 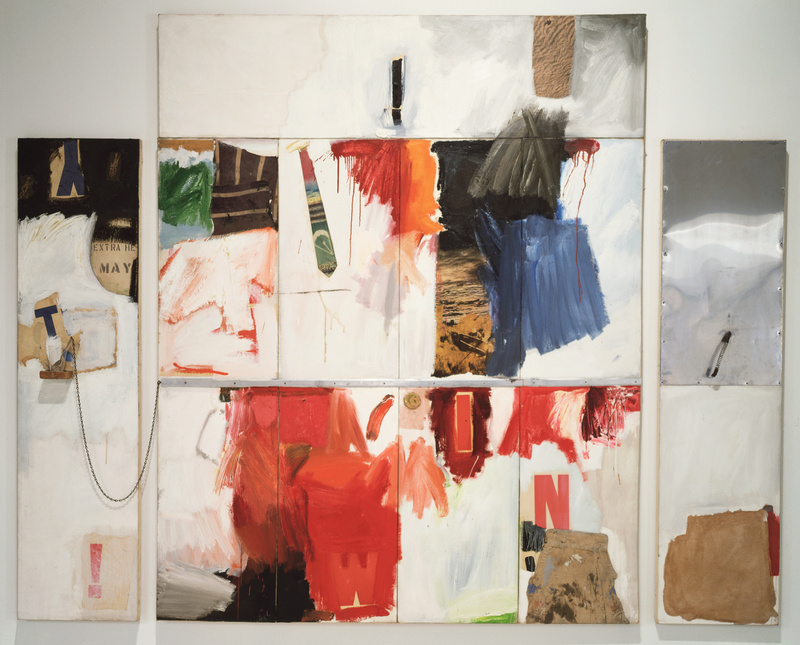 See also http://www.donshewey.com/arts_articles/rauschenberg.html, accessed December 16, 2014. Carolyn Brown, Chance and Circumstance: Twenty Years with Cage and Cunningham, 2nd ed. (New York: Knopf, 2008), 327. Underscoring the monumental nature of the acquisition, the Merce Cunningham Dance Company Collection was an unprecedented opportunity for both the Walker and the MCDC. The museum had sustained a unique extended relationship with Cunningham for more than 50 years, presenting the company consistently since 1963 in both repertory performances as well as in site-specific Event performances. 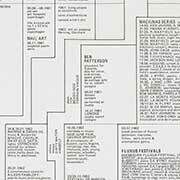 The Walker commissioned new works and sponsored choreographic residencies in Minneapolis, and the choreographer was a primary focus of the 1999 exhibition Art Performs Life: Cunningham/Monk/Jones. The museum also independently acquired its first Cunningham décor, Jasper Johns’s set for the 1968 dance Walkaround Time, in 2000. The complementary connection between the Cunningham Collection and the Walker is also strengthened by the fact that Cunningham collaborated with some of the most influential artists, musicians, filmmakers, and designers of his generation, many of whom were already represented in the museum’s collection at the time of the Cunningham acquisition. 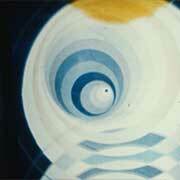 In addition to Rauschenberg, Cunningham also worked extensively with Jasper Johns (artistic advisor to the company from 1967 to 1980), Mark Lancaster, William Anastasi, Dove Bradshaw, and Marsha Skinner, in addition to collaborations with figures such as Frank Stella, Bruce Nauman, Robert Morris, and Andy Warhol as well as Charles Atlas, Ernesto Neto, Charles Long, Richard Hamilton, Rei Kawakubo, Terry Winters, and Daniel Arsham. 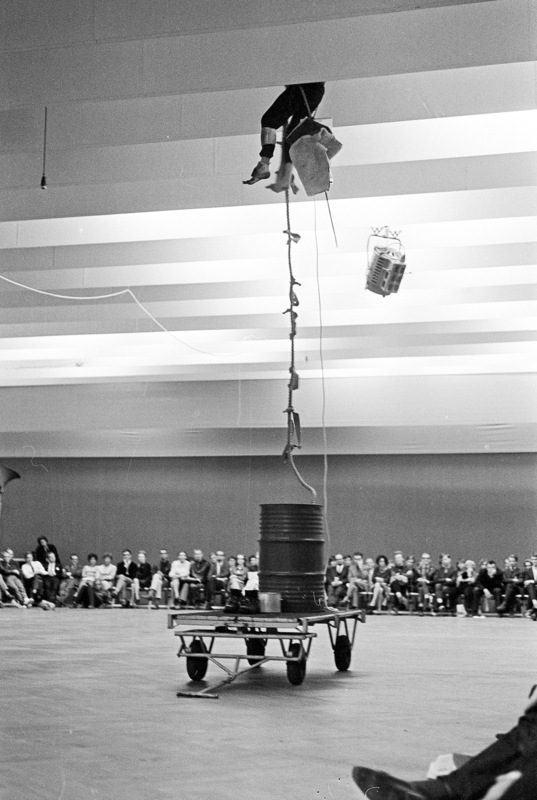 Philip Auslander, “Surrogate Performances: Performance Documentation and the New York Avant-garde, ca. 1964–74” in On Performativity, ed. Elizabeth Carpenter, vol. 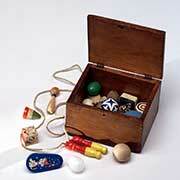 1 of Living Collections Catalogue (Minneapolis: Walker Art Center, 2014). http://www.walkerart.org/collections/publications/performativity/surrogate-performances. See Auslander’s text in which he describes how performances typically “come to be represented by a small number of published images, or even a single image, divorced from the performance as a whole while simultaneously representing it” (para 23). This is in contrast to the expanded, rather than limited, understanding that actual performance objects can offer. Ann Cooper Albright, “Matters of Tact: Writing History from the Inside Out,” in Engaging Bodies: The Politics and Poetics of Corporeality (Middletown, CT: Wesleyan University Press, 2013), 176. Carolyn Brown recalls, “Obviously I couldn’t dance with the rope and its dangling detritus around my neck without literally choking while simultaneously flagellating myself to death.” See Brown, Chance and Circumstance, 327. John Cage, quoted in Merce Cunningham and Dance Company, ed. David Vaughan (New York: Foundation for Contemporary Performance Arts, 1963), n.p. Sally Banes, Terpsichore in Sneakers: Post-Modern Dance (Middletown, CT: Wesleyan University Press, 1987), xvi. Peggy Phelan, “Moving Centers,” in Move: Choreographing You: Art and Dance Since the 1960s, ed. Stephanie Rosenthal (London: Hayward, 2006), 26. Merce Cunningham, Changes: Notes on Choreography (New York: Something Else Press, 1969), n.p. Brown, Chance and Circumstance, 113. Charles Stuckey, “Minutiae and Rauschenberg’s Combine Mode,” in Robert Rauschenberg: Combines, ed. Paul Schimmel (Los Angeles: Museum of Contemporary Art, 2005), 199. Brown, Chance and Circumstance, 325. David Vaughan, Merce Cunningham: Fifty Years (New York: Aperture, 1997), 292–293. Stuckey, “Minutiae and Rauschenberg’s Combine Mode,” 199. Merce Cunningham, Choreographic notes for Aeon, Notebook 1 of 2 (part 1 of 5), 1961, Merce Cunningham Dance Capsules, accessed December 18, 2014, http://dancecapsules.mercecunningham.org/media.cfm?capid=46028&focuslibrarycid=Choreographic+Notes. “Pop Ballet,” Time, August 14, 1964, 38. 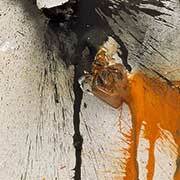 Steve Paxton, “Rauschenberg for Cunningham and Three of His Own,” in Robert Rauschenberg: A Retrospective, ed. Walter Hopps and Susan Davidson (New York: Guggenheim Museum, 1997), 261. Paxton, “Rauschenberg for Cunningham,” 261. Brown, Chance and Circumstance, 329. Jill Johnston, “Dance: Cunningham in Connecticut,” Village Voice, September 7, 1961. Robert Rauschenberg, audio commentary in “Robert Rauschenberg on Trophy IV (For John Cage),” San Francisco Museum of Modern Art, March 2010, accessed December 16, 2014, http://www.sfmoma.org/explore/multimedia/audio/50. Events were site-specific performances that featured choreographic phrases from multiple Cunningham repertory works, specially designed to fit the particular conditions of each locale. While I have found no clearly articulated reason for why the dance left the repertory, factors such as Rauschenberg’s departure from the Merce Cunningham Dance Company after November 1964 and the technical complexity of touring the work must have played a role. Phelan writes, “I could not discern which of my memories came from performances I’d seen and which memories were derived from photos, videos, descriptions in the newspapers.” Peggy Phelan, “Trisha Brown’s Orfeo: Two Takes on Double Endings,” in Of the Presence of the Body: Essays on Dance and Performance Theory, ed. André Lepecki (Middletown, CT: Wesleyan University Press, 2004), 14. Amelia Fatt, “Designers for the Dance, Part III,” Dance Magazine 41 (April 1967): 57. Calvin Tomkins, “Moving Out,” New Yorker, February 9, 1964, 41. Merce Cunningham, “Crises,” 1960, Merce Cunningham Dance Capsules, accessed December 18, 2014, http://dancecapsules.mercecunningham.org/media.cfm?capid=46039&focuslibrarycid=Choreographic+Notes. Cunningham, Choreographic notes for Aeon, 1961.